I just returned yesterday evening from a fun-filled/exhausting weekend at Disney! My boyfriend (gasp, yes it’s true, I’m no longer single!) 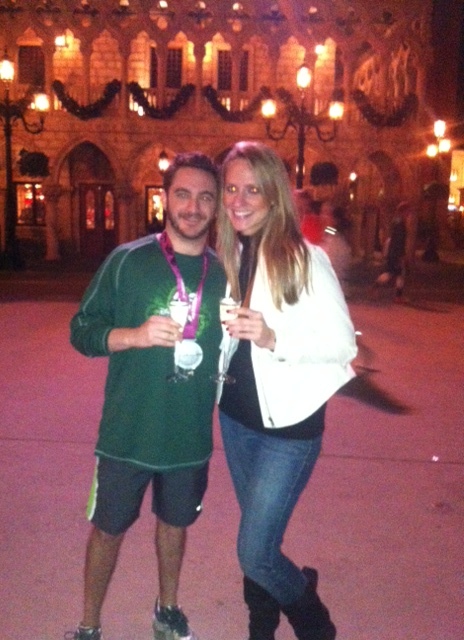 Brandon was running the Disney Wine and Dine Half Marathon and we decided to make a weekend out of it. 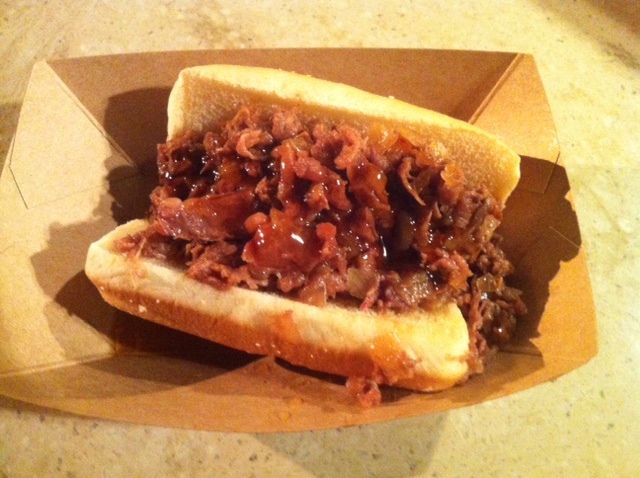 We arrived Thursday evening and dined at Cask & Larder in Winter Park. The restaurant features gourmet southern cooking as well as a raw bar with oysters from all over the country. The dining room was cozy, dimly lit, and reminded me of a pottery barn catalogue, maybe just a bit more modern and with a southern touch. I had some amazingly fresh oysters, a grilled octopus dish with lima beans, and a charred tomato/onion/cucumber/feta summer salad. He had a lovely looking duck breast served over grits and garnished with ground coffee and plump blackberries. The side dishes were less impressive–our mac and cheese was just too salty and lacked the distinct mustard seed flavor that was advertised and the braised turnips were just simply uneventful. The husband and wife duo that run Cask & Larder also have The Ravenous Pig and according to B he said that he preferred The Ravenous Pig. Cask & Larder has only been open for about 2 months so we’ll see what happens in the future. I would definitely try this place again next time I’m in Orlando. B’s race wasn’t until 10 pm Saturday night so we took advantage of the parks and ran around like two 5-year-old kids hopped up on sugar! 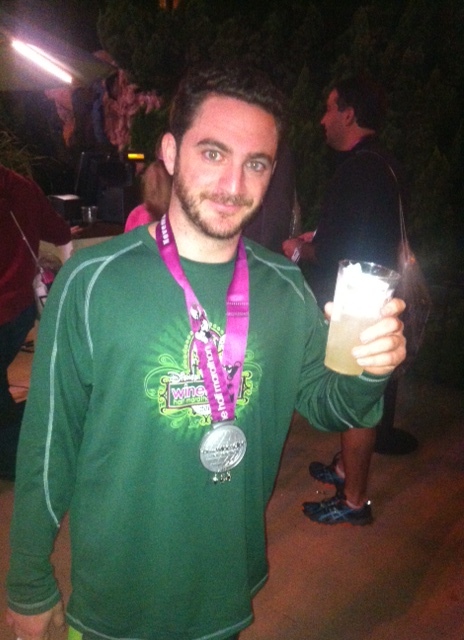 It probably wasn’t the best idea seeing that B had to run 13.1 miles, but hey, you only live once. 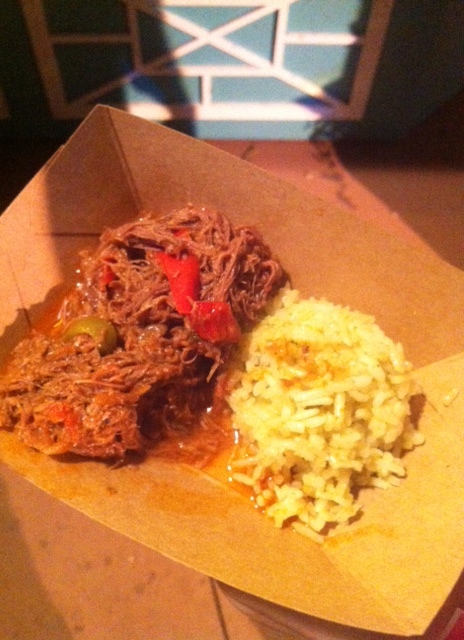 With both of us being major foodies we couldn’t wait to check out the Epcot International Food and Wine Festival which was going to be open from 10pm-4am (!!!!) just for the race participants and spectators! It was advertised as having over 27 (it’s really 29….oh Disney marketing) international kiosks with food and wine/cocktails from that country. It was our first time attending and it was so much fun! B finished the race around 12:30 am, I met him at the finish line, and then off we went to celebrate! Obviously some dishes were better than others and we didn’t get to try every single one, but overall it was a delicious, fun experience. We were expecting exorbitant prices (after all, it is Disney) but everything was surprisingly modestly priced. Everything is tapas size (small plates) and ranged from $3.75-$7.00. Not too bad! We ate and drank (with an emphasis on drank) until about 3:30, rode Soarin’ (with a bit of hesitation after consuming all those different types of liquor and beer) and then walked (actually B hobbled) back to our hotel and passed out with full bellies and smiles on our faces. 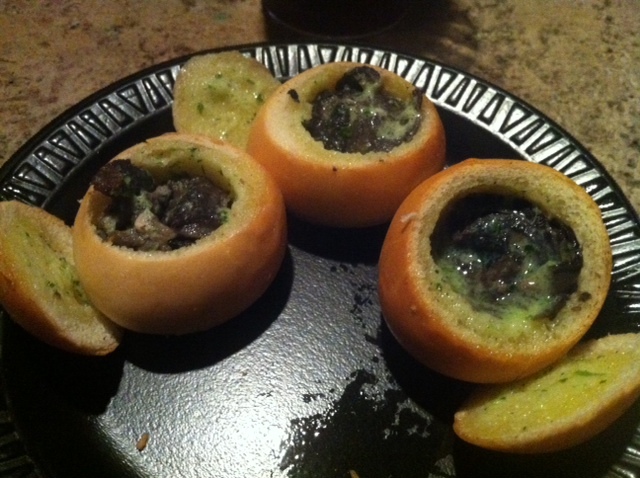 Here are photos of some of the dishes we remembered to take pictures of! Enjoy! Disclaimer: These pics were taken with my iPhone, late at night, in dimly lit conditions after many alcoholic drinks were consumed. Right after he finished the race! Woo hoo! 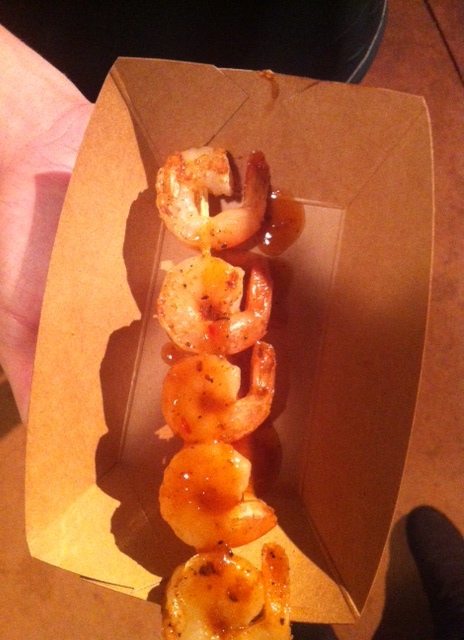 Shrimp on the barbie with a pepper berry citrus glaze in Australia mate! Sukiyaki beef pan in Japan–wayyyy too salty! 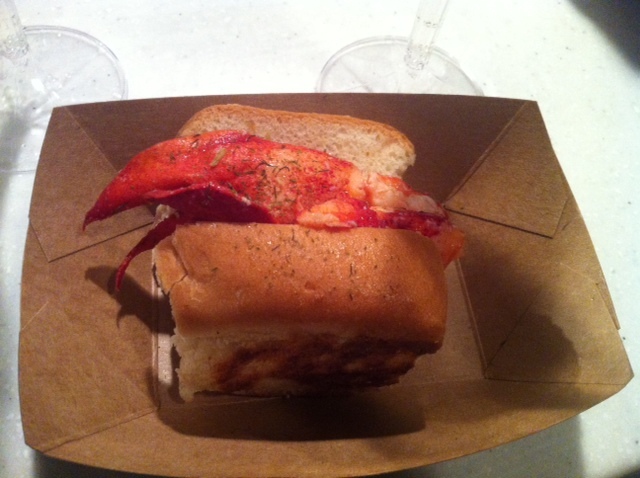 Lobter Roll in America- yum! 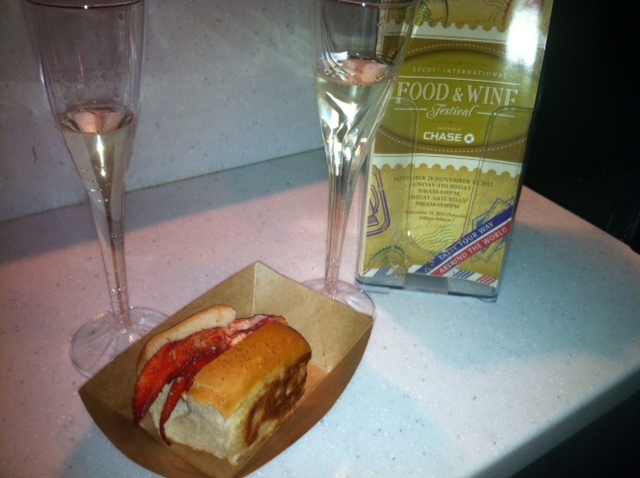 The lobster roll again with our prosecco! 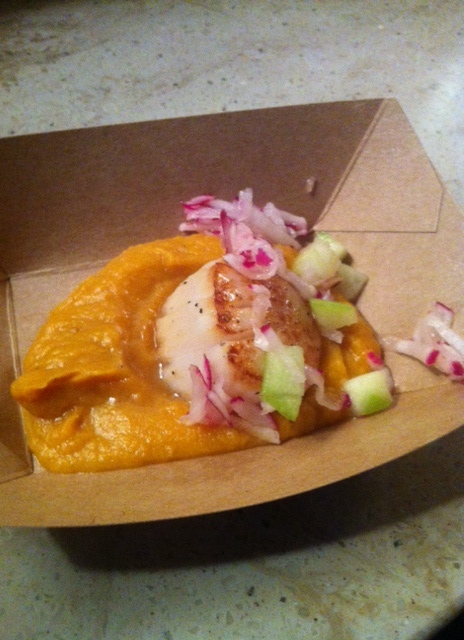 Seared Sea Scallop with Kumara Red Curry Puree and Apple Radish Salad in New Zealand! 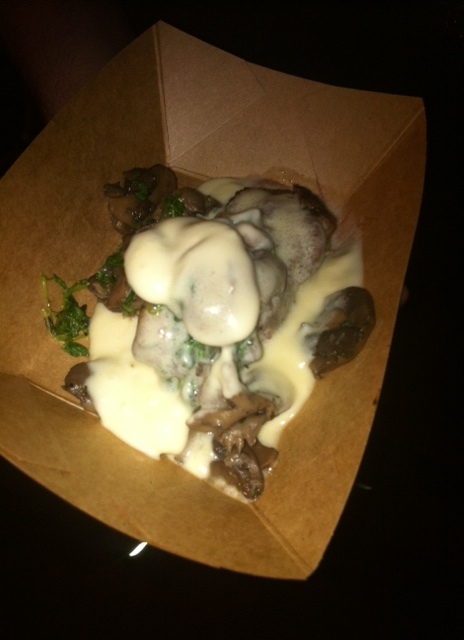 “Le Cellier” Wild Mushroom Beef Filet Mignon with Truffle Butter Sauce in Canada–amazing!